Programátor EEPROM řad 24 a 25, převodník USB - serial. má na pinech výstupy TX, RX, MISO, MOSI, CLK, CS, GND, 3,3V, 5V. 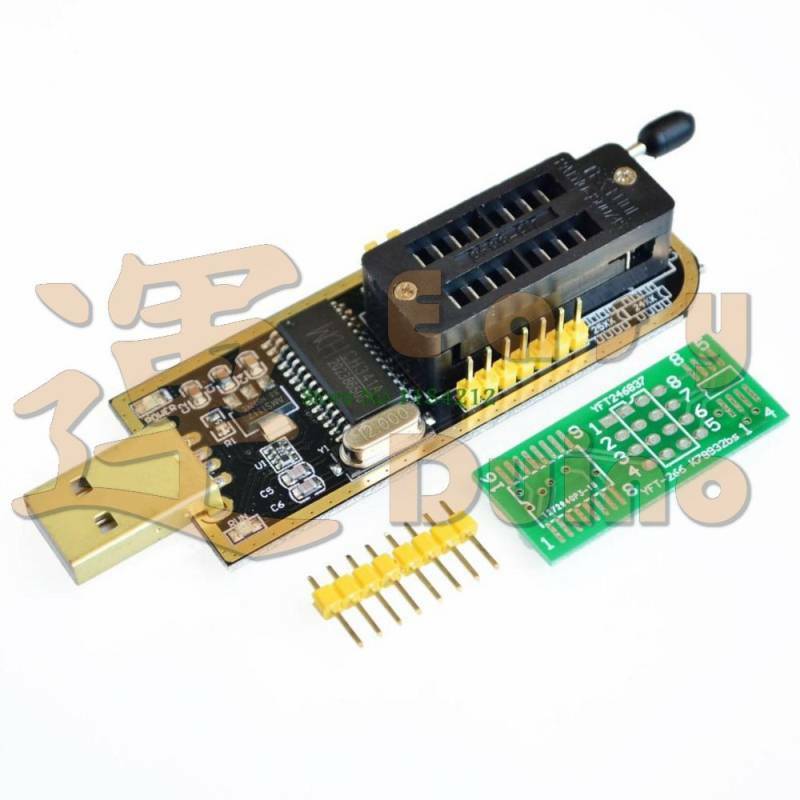 Support 24EEPROM and 25 SPI flash 8pin/16pin chip USB to TTL port, can get root online With CH341A chip. Recognize 25 series chip automatically and support download STC series procedure of singlechip. With 24/25 status indicator lamp, SPI pin to support expanding the utility. Summary: 24 and 25 series of FLASH has been very popular at present. Burn for these chips, currently only professional programmer can support, but the price of a professional programmer is very expensive, not general maintenance users can have. 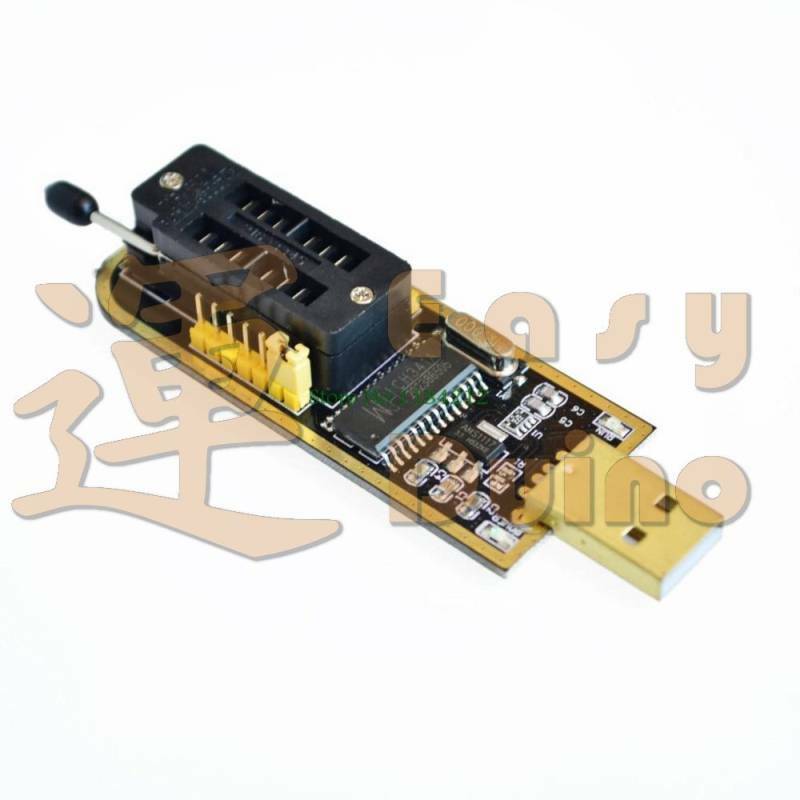 So we can create a support block 24 series of EEPROM and ST, WINB IND, AMIC, MXIC, SST, SPANSION, EON, PMC and other manufacturers of 8 feet 25 series chip programmer. 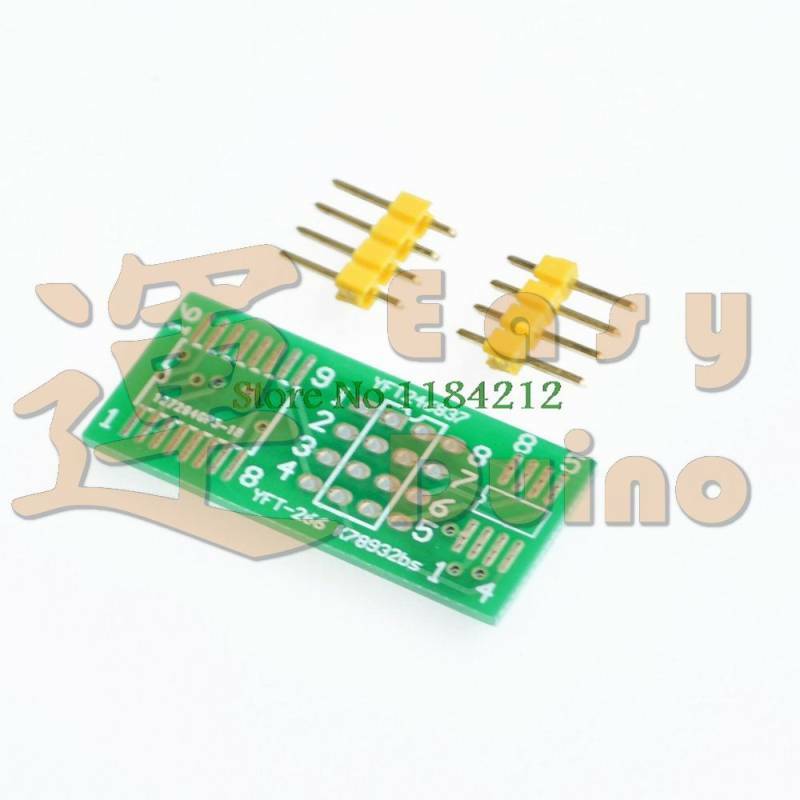 1. by special USB chip CH341A production. USB1.1 communication. Burning speed than ordinary ATMEGA8 25 Series of programming 2-3 times faster. Erase the burning check speed about 2-3 mbit per minute. Very suitable for amateur burning 24 and 25 series of FLASH. 2, support WIN98, WINME, WIN2K, WINXP, VISTA, Windows 7 - a 32-bit operating system. 3, USES the USB port power supply 2: put the programmer computer USB port, open the "CH341A programmer software" the burning software. Choose good chip capacity, can burn write and erase the chips. Download online (USB serial port, P/S end cap off) Put the programmer computer USB port, programmer received nine RX, TX foot on the TX and RX received notice from nine GND received nine GND. Choose corresponding COM, open the corresponding download software platform, online upgrade your nine machine. (software upgrade not programmer accompanying the software) Driver installation 1: install parallel port driver (burning 24 and 25 series used FLASH drive) Will jump on the PCB P/S end cap closed Detailed installation steps "CH341A parallel port driver and instructions in the installation instructions - TB" folder 2: install serial port driver (such as USB serial port, in nine support serial model online download online download) Will jump on the PCB P/S end cap is removed Detailed installation steps "CH341A serial port driver and instructions in the installation instructions - TB" folder 24 series chip burning (P/S jump end cap closed) : put the programmer computer USB port, open the USB port "24 to 25 series of burning of the programmer" Software. Choose good chip capacity, can burn. 25 series chip burning (P/S jump end cap closed) 6. Read 25 x80 series 8 m chip only 9 seconds. 25 x80 erasures - blank check - programming - a charm to complete the four steps only 1 minute, 6 seconds. 24 and 25 series of FLASH has been very popular at present. Burn for these chips, currently only professional programmer can support, but the price of a professional programmer is very expensive, not general maintenance users can have; So we can create a support block 24 series of EEPROM and ST, WINB IND, AMIC, MXIC, SST, SPANSION, EON, PMC and other manufacturers of 8 feet 25 series chip programmer. 2, support WIN98, WINME, WIN2K, WINXP, VISTA, Windows 7 - a 32-bit operating system. 2: put the programmer computer USB port, open the "CH341A programmer software" the burning software. Choose good chip capacity, can burn write and erase the chips. Put the programmer computer USB port, programmer received nine RX, TX foot on the TX and RX received notice from nine GND received nine GND. : put the programmer computer USB port, open the USB port "24 to 25 series of burning of the programmer"